“Scratch,” the nation-wide sensation created by three-time Pulitzer Prize winner Archibald Macleish can now be seen at SLCC’s Black Box Theater. Tickets are five dollars For SLCC students and faculty. General admission it is eight dollars. Tickets can be purchased at the Grand Theatre Box Office. All performances will be held in the Black Box Theatre, located at the South City Campus in room W-210. Performances are on Oct. 31 and Nov. 1, 2 and 3. “Scratch” has appeared in both local Utah theatres, as well as New York’s Broadway Theater. 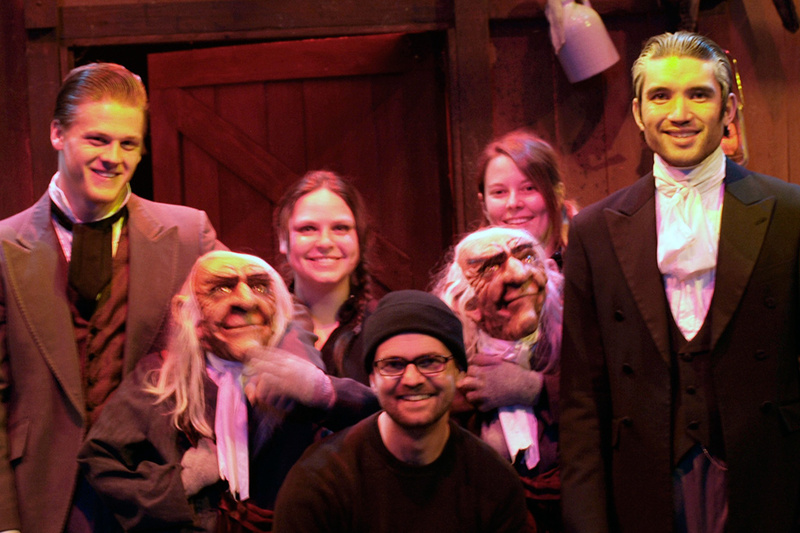 The SLCC production is presented through a combination of puppetry and live actors. Based on Steven Vincent Benet’s short story, “The Devil and Daniel Webster,” “Scratch” explores the dilemma of New Hampshire farmer Jobez Stone, who sold his soul to the Devil in exchange for seven years of prosperity. Stone depends on Webster to assist him in an eerie trial for the rights to his soul. The “Scratch” cast includes Malaer, who plays Webster, Austin Grant, who plays Jobez Stone and Ron Ross, who plays the Judge. The puppet Scratch is voiced by Joe Hatfield. Although Hatfield is primarily working behind the scenes, he is fully acting just like his co-actors on stage. Director Doug Vandegrift brings a unique introduction of the puppets that hasn’t been seen in theater before. The overall theme of this play is to display, in an interesting and artful way, the founding principles of the United States of America. Through the historic characters of Webster, Stone and the Devil, Macleish’s piece is brought to life. It is about how a man should be able to exercise his freedom and rights, because the law was created specifically to allow man to live free. The Black Box Theater has new and improved lighting, sound and stage. The theater invites all Bruins to visit and enjoy plays and performances of all types.